Tough-as-nails fourteen-year-old Sid may not have expensive boots like the privileged teen riders in Virginia, but she knows her way around horses. Working with her Uncle Wayne since childhood, she s learned to evaluate horses, break and train them, care for them . . . and ride like a professional. Amid turmoil at home, she dreams of becoming a catch rider a show rider who can ride anything with hooves. In this salty, suspenseful teen novel, an unexpected opportunity to ride a top-notch horse in an equitation show takes the small-town girl all the way to Madison Square Garden." "Everything comes together here setting, dialogue, horse details and, most impressively, voice so that the near fairy-tale ending works; like the rest of the book, it feels absolutely true. A standout." "Girls and horses never go out of style. . . . Lyne fills her story with details about various breeds, horsemanship, and horse-riding competition, immersing readers into this very specialized world. The setting of a small town that is hard to escape rings just as true." 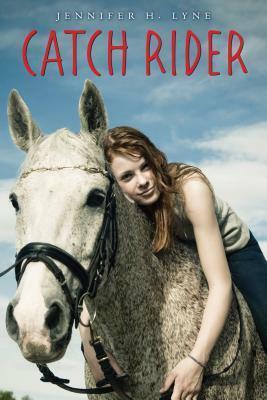 "For many girls, it isn't truly summer without a great horse book Jennifer H. Lyne's "Catch Rider" fits that bill." ""I'm no horse expert, but this tale sure feels and smells like the real deal. It was a real page turner for me. Perhaps you know a book where there is resolution to the story but you are so into the characters that you are not ready to say goodbye. . . I'm sure hoping to see another book out of this debut author."